This course will take through your first steps into freestyle. Whether you have been Skiing for a while or just a short time as long as you can happily Ski down the slope, then this course if for you. We believe that, to learn and get the most from your skiing you need to feel relaxed and at ease. We will endeavor to provide an open and friendly environment where your skills will flourish. You will be in a group of people of the same ability and we will use video analysis to give constructive feedback. We will start with learning good technique for freestyle, such as stance and posture, progressing to flatland maneuvers. We will play on a small rail or box, working on posture and balance, aiming to achieve a Rail Slide. Again, we will use video analysis to give feedback and capture your best moves! We will move on to kickers, taking to the air with some straight airs. We will focus on approach techniques and learn how to maintain balance while in the air. Many struggle landing jumps from the Kicker, this course aims not just to demonstrate skills but also teach the fundamentals, so we will teach you how to get to the sweet spot on the landing. Dependent on individual needs and goals, we will progress, taking your freestyle skills to the next level. This course aims to be flexible, so we can give specific coaching and work on individual goals. Definition aims to motivate and challenge everyone. Private Lessonss available on request. Here is a short video of what we can get up to on our 1 day ski freestyle courses. 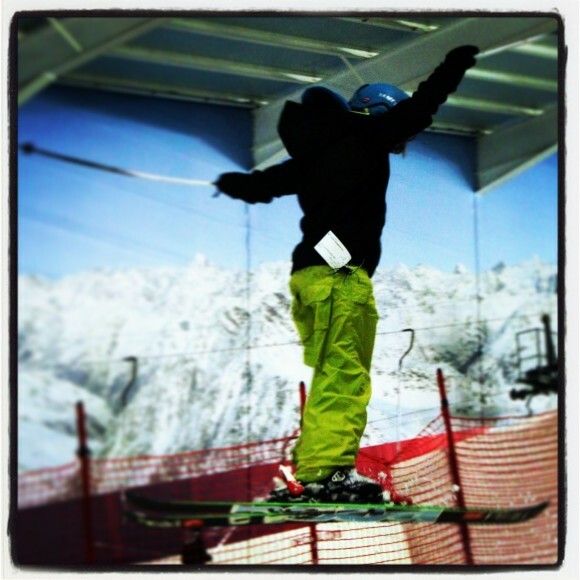 Ski freestyle coaching Hemel April 2013 from Definitioncamps on Vimeo.